This is one of my favorite rice dishes. It’s actually been one since a child. I first had this at my then neighbor’s house in Bangalore. Ever since I have fallen in love with this rice dish and mom or I have never been able recreate that taste like the Aunt in the neighbor did. Yet here’s something very close though. I don’t know for some reason I have never made this ever since I started to blog. Well better late than never; here I am with rice dish that is so moist, delicious, full of wonderful flavors of the whole spices and moreish! Heat the pan and add the Ghee. Once the ghee is heated, tip in the spices (Fennel seeds, cardamom, cinnamon, clove and bay leaf) and fry till the raw spell is gone. Add the onions, chili and ginger-garlic paste. Fry till the onion turns pink and the raw smell of ginger-garlic is gone. Please make sure not to burn them as this will change the color of the rice when you cook. 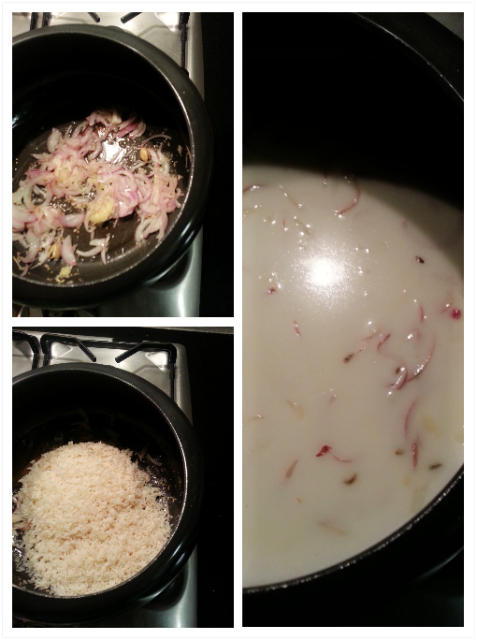 Once done add the rice in and fry till the rice doesn’t stick to each other ensuring the rice not turning brown. Add the coconut milk, water and salt to taste. Cover and cook till done. 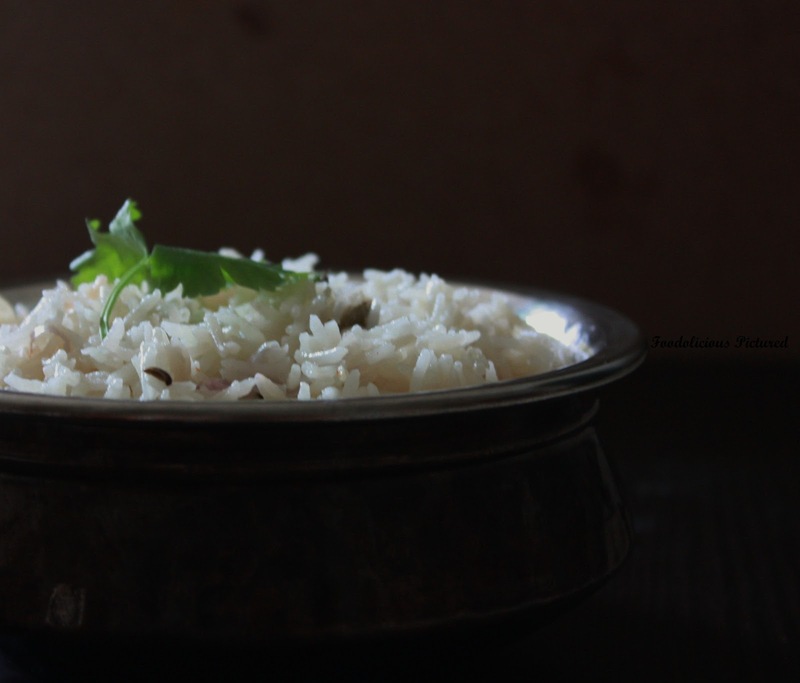 Note – once the rice is cooked. 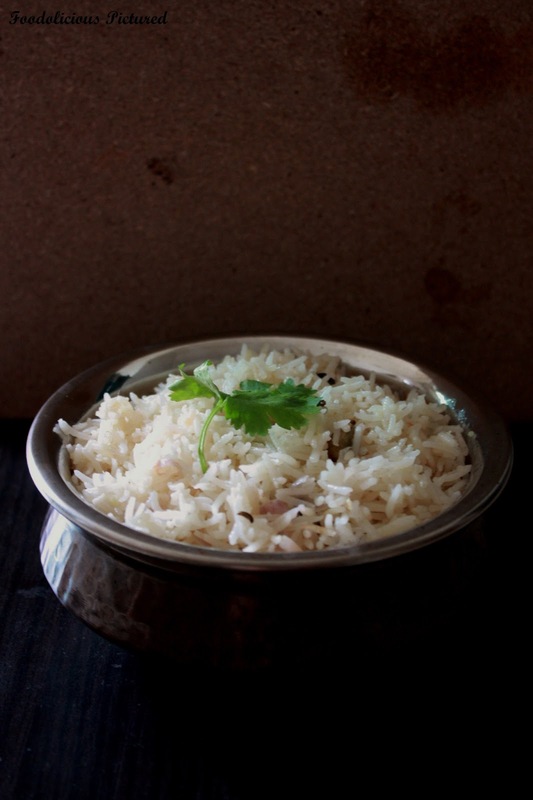 Keep it uncovered for a few minutes before you use a fork to fluff up the rice slowly. Beautiful flavors, opposite to our local Nasi Lemak, also made with coconut and added with pandan/screwpine leaves. I am big eater or rice and I just anything cooked with it. The bay leaves are a great add-on for my fragrance and flavors. 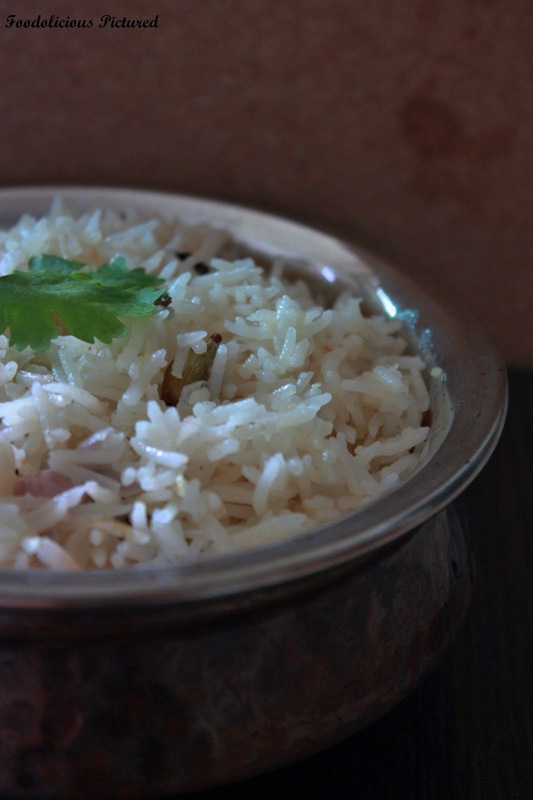 Very flavourful and delicious rice..
such a flavorful rice,my families fav.nice clicks. This is one of those dishes they made in Bangalore for a non vegetarian feast. Perfect with pakoda kurma..yumm. 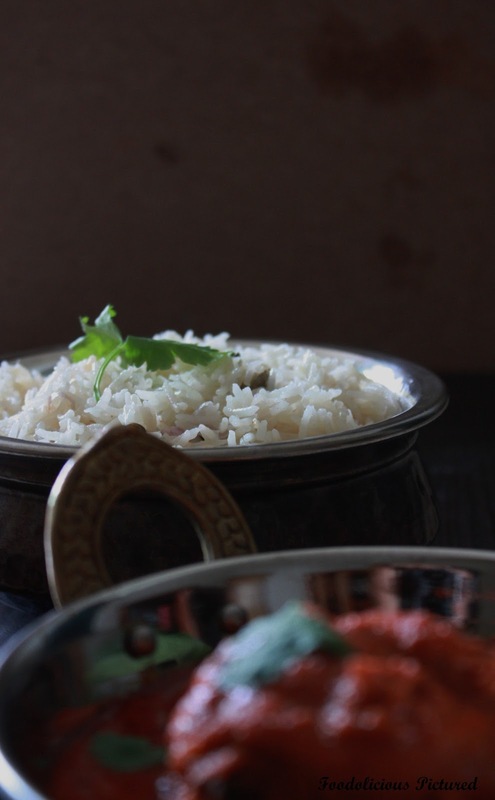 Delicious coconut milk rice Rekha, Love it. looks awesome ! I can imagine the taste of this flavorful rice ! yum ! Thank you Rafee 🙂 yeah a perfect combo for chicken curry!